President Trump on Thursday said goodbye to longtime aide Hope Hicks, who is leaving the White House at the end of the week. 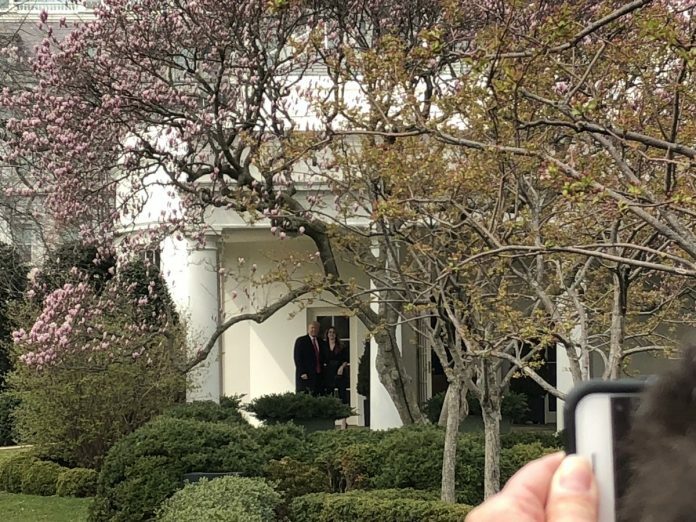 Trump and his former communications director walked out of the Oval Office together and waved to reporters waiting for the president to depart for a trip to Ohio and Florida, which will keep him out of town on Hicks’s last official day. The two then shook hands and posed for photographs before Trump walked toward Marine One.